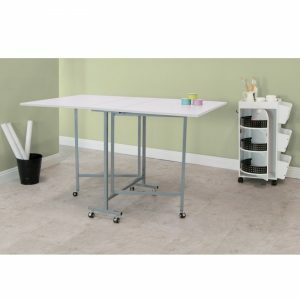 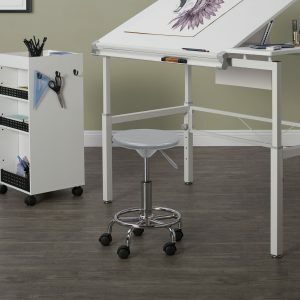 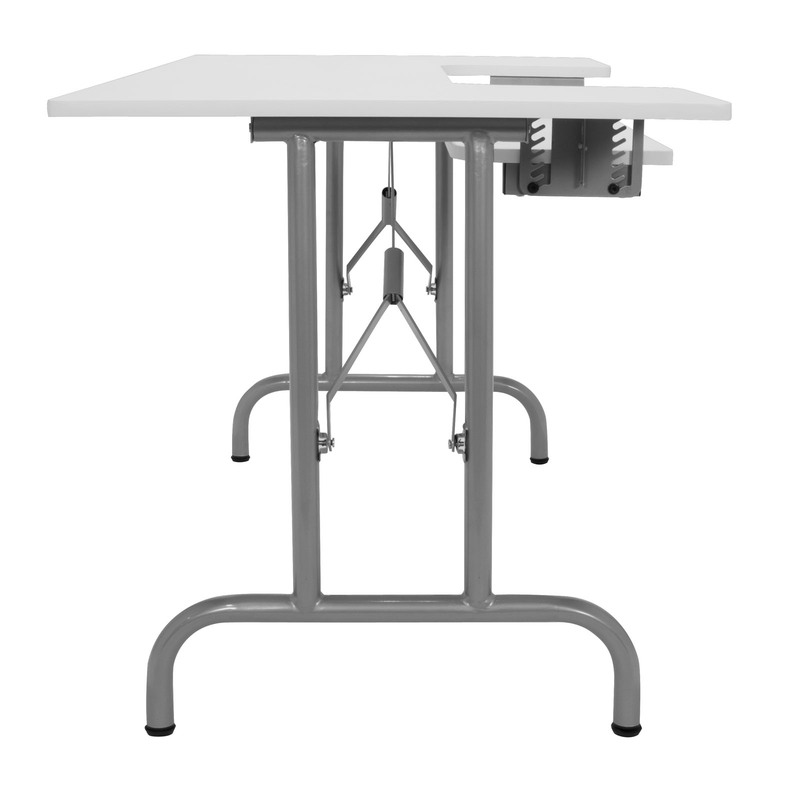 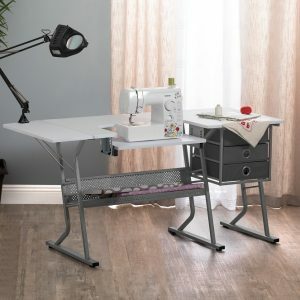 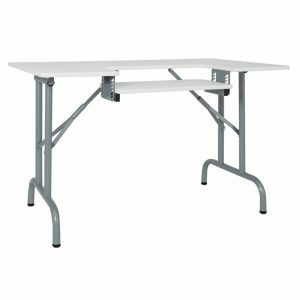 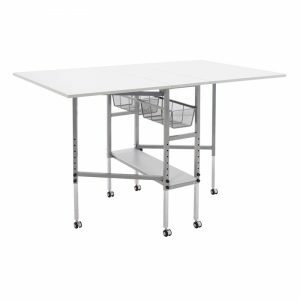 The Folding Multipurpose Sewing Table by Studio Designs features a large 47.5-inch-wide work surface with a drop down platform that adjusts to 6 height positions. 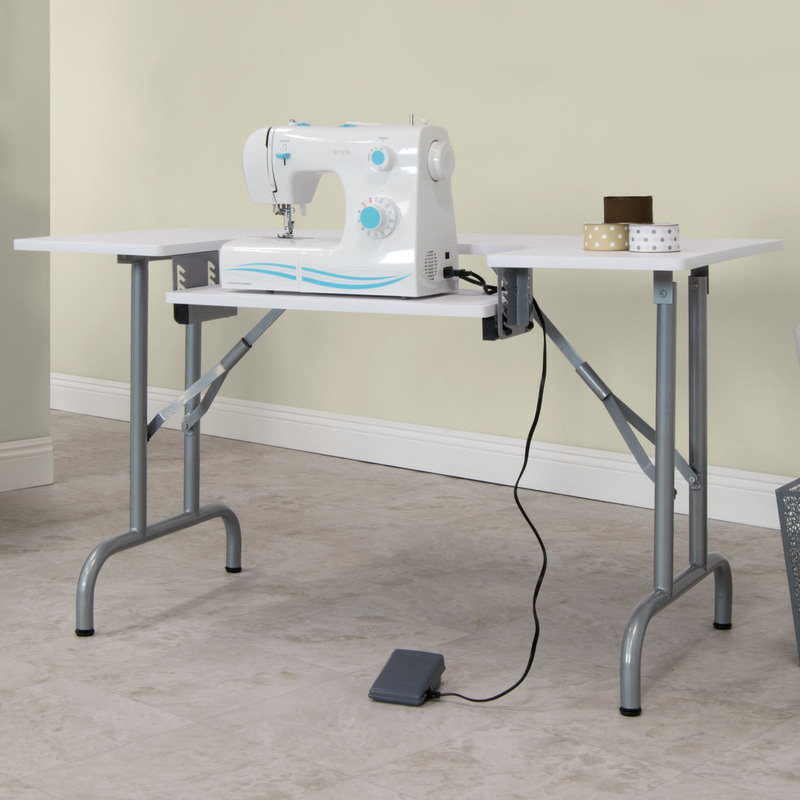 Once the platform is lowered this table can accommodate a sewing machine or keyboard. 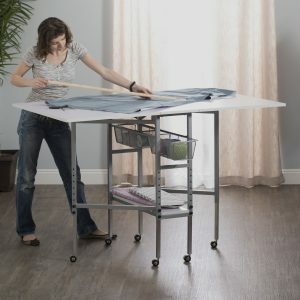 This table adapts to work in almost every room in the house. 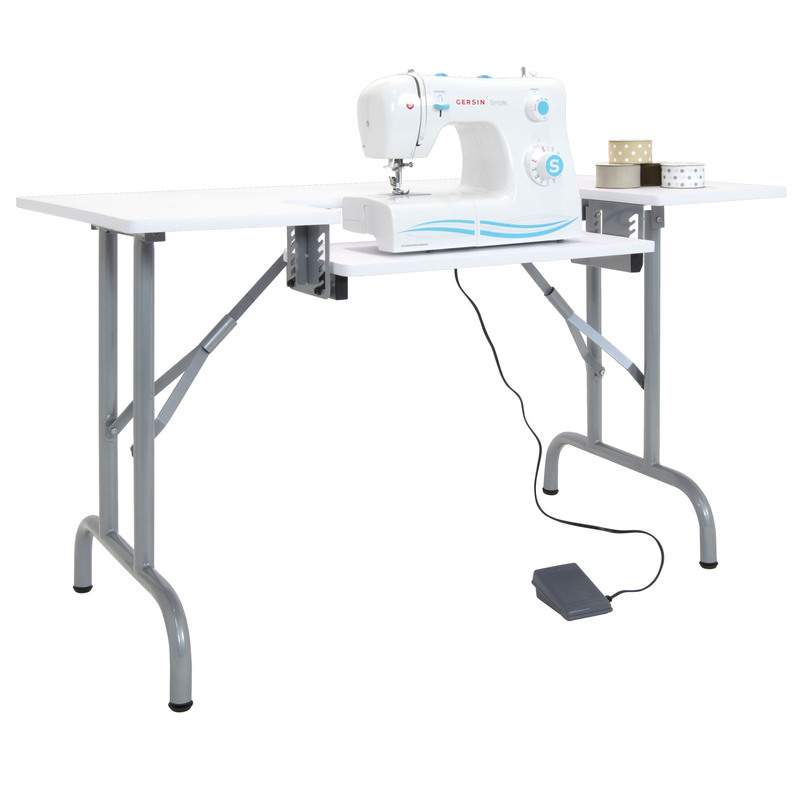 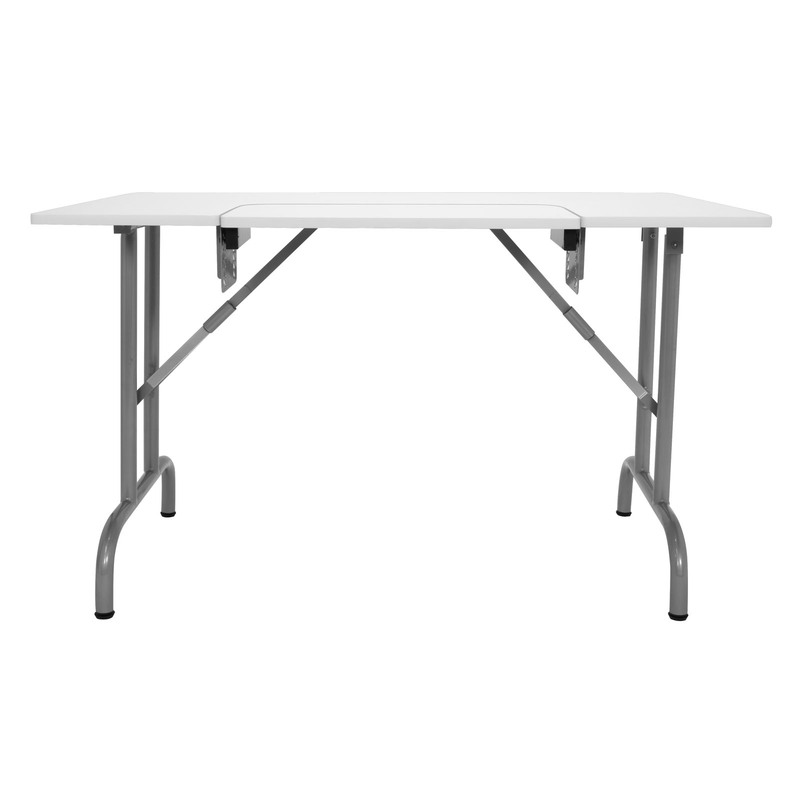 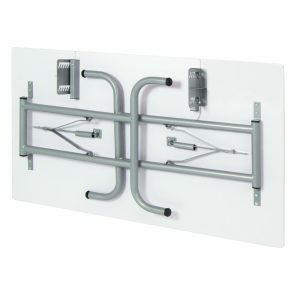 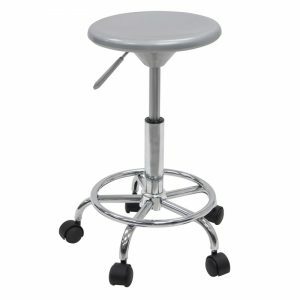 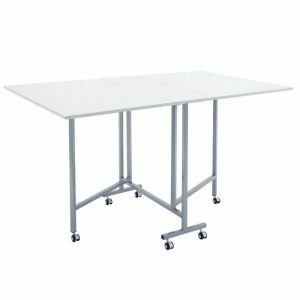 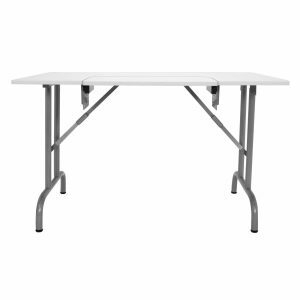 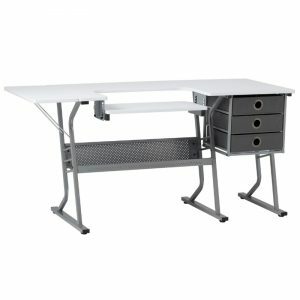 Some of the possible uses include a sewing table, computer table, craft table, general office machine table, extra workspace or a folding party table for gatherings.